The Galway Film Fleadh has confirmed that last year’s hugely successful ‘Spotlight on Actors’ casting workshop will return for the 30th anniversary celebrations. Maureen Hughes Casting will conduct the casting workshop with help from Northern Irish casting agent and special guest Carla Stronge. 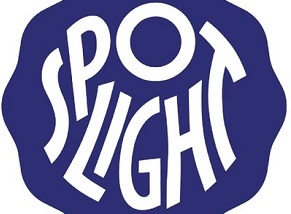 The workshop, which takes place on Saturday July 14th, is in association with Spotlight. Spotlight will bring their studio to Galway to create a casting village at the Fleadh, helping actors from all over Ireland experience the professional studio set up for themselves. Actors will be invited to provide a self-tape of their audition via Form Plus (details will be provided), or to have their audition filmed at Spotlight’s Studio at Bow Street, Dublin (early booking is advised). This will offer an original and exciting chance for actors to prepare and record their scenes, experience how it will be viewed professionally, whilst also offering participants the opportunity to mingle and be introduced to the casting element of film projects within the ‘pop-up’ environment. Casting director Maureen Hughes began her career at the Druid Theatre, Galway in 1984. In 1991, she became Casting Director at the Abbey Theatre under the Artistic Directorship of Garry Hynes where she remained until 1994. She joined UK Casting Director Susie Figgis in 1996 to find the lead casting for Neil Jordan’s ‘The Butcher Boy’ and subsequently went freelance in film and television casting. Film credits include the low budget ‘Once’, which won an Oscar for Best Song in 2009, and ‘Six Shooter’, which won an Oscar for Best Live Action Short in 2006. Other films include ‘Wakewood’ with Aidan Gillen, Eva Birthistle and Timothy Spall. Her television work includes ‘Single Handed’, ‘Raw’ and ‘Love/Hate’ all of which have transmitted on RTÉ. She worked on ‘The Other Side of Sleep’, directed by Rebecca Daly, which premiered at Directors Fortnight in Cannes and stars Antonia Campbell Hughes and Sam Keeley; Paolo Sorrentino’s ‘This Must Be the Place’, starring Sean Penn and young Irish actress Eve Hewson; ‘A Thousand Times Good Night’, starring Juliette Binoche and Nicolaj Coster-Waldau, which won the Jury Prize and Best Film at Montreal Film Festival; and ‘Noble’, a film based on the life of the extraordinary Irishwoman Christina Noble starring Deirdre O’Kane. She has just cast ‘Taken Down’, a new 6 part series for RTE which has been co-written by Stuart Carolan and Jo Spain and will be produced by Spiral Films and has completed work on ‘Nightflyers’, which recently shot at Troy Studios. Upon completing her degree in film and television in London, a varied medley of film and television production jobs followed until Carla Stronge returned to Northern Ireland in 2004 and began street casting on feature films. In 2007 she set up Ireland's largest extras agency, now named The Extras Dept. Carla quickly became the first port of call to assist and inform casting directors visiting Northern Ireland, often working on the same productions and by default regularly casting small parts and child roles. Carla’s first official casting credit was HBO’s ‘Game of Thrones’ in 2010 after having had the opportunity to assist Nina Gold and Robert Sterne in their epic countrywide search for local talent for Season One. This would spell the final time Carla would co-ordinate the background, instead focusing entirely on honing her skills as a casting director. Since then, Carla has worked on all eight seasons of ‘Game of Thrones’ (including the pilot) winning an Emmy in 2015 for Outstanding Casting in Drama Series and again in 2016, also racking up an Artios Award nomination in 2017 after becoming a member of the Casting Society of America. Her first casting director credit was BBC 2’s ‘The Fall’ starring Gillian Anderson and Jamie Dornan - the critically acclaimed drama series that first aired in May 2013 to record audiences. Since then she has cast ‘The Secret’ for ITV with James Nesbitt and Genevieve O'Reilly as well as Channel 4's ‘Derry Girls’ their biggest comedy success since 2004 and now also numerous other up and coming feature films including Aoife McArdle's ‘Kissing Candice’ (with Amy Rowan) and Scott Graham's third feature film ‘We Don't Talk About Love’. Carla's further credits include: ‘The Frankenstein Chronicles’ and ‘The Woman in White’ with Gary Davy, ‘Come Home’ and ‘Death in Nightingales’ with Julie Harkin and ‘My Mother & Other Strangers’ with Kate Rhode James, as well as local casting on ‘High Rise’ and ‘Lost City of Z’. PLEASE NOTE: Places on the casting workshop are limited to 30 places. Places allocated on a first come, first served basis – all successful applicants MUST bring an updated CV and headshot with them on the day and have a one-minute long monologue prepared and ready to perform live (no longer than 1 minute). Applicants will also be required to provide a self-tape of their monologue – this can be done by sending a downloadable vimeo or wetransfer link or have your audition filmed at Spotlight’s headquarters in Dublin. The self-taping dates at the Spotlight Dublin office are Sunday 1st July / Monday 2nd July / Tuesday 3rd July / Wednesday 4th July, and there will be a very limited number of slots available for taping in Galway for anyone who is unable to travel to the Dublin office. You must book a slot in advance for the self-taping.